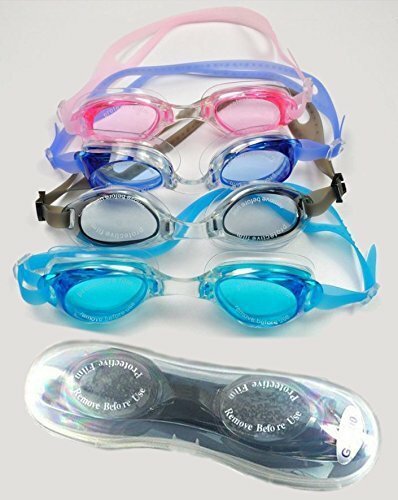 Premium Quality UV Shield Anti Fog Swimming Goggles with Free Ear Plugs with Hard Outer Box. Currently Only Color available Black and Blue. Swimming Anti fog Goggle. Ultra fit adjustment. Ideal for swimming purposes. Highly recommended for swimming lessons. Made from high quality material. Long lasting and durable product. Comes with hard outer case . Disclaimer: Product colour may slightly vary due to photographic limitations." Established in 2014, TAG3 Ventures is a principal importer and supplier of superior-quality array of products such as Keychains Products, Mobile Accessories, Kitchen Accessories, Sport Products, Barware Products, Beaded Potli Bags, Aloe Vera Ice Cool Gel, Party Accessories, Cookware and Bakeware Products, Magnifying Reading Glass High Power, Microfiber Scalable Chenille Rod Duster, Multifunctional Swiss Army Knife, Telescopic Extendable Rod Duster Mop, Swiss Army Knife, Promotional Desktop Gifts and many more products. Our vendors manufacture these products properly and hence assure their quality. These products are free from any kind of adulteration. We are importing from across the world. Our Official website is wwwdottag3dotin.